Good afternoon! I hope you are all having a great Monday! 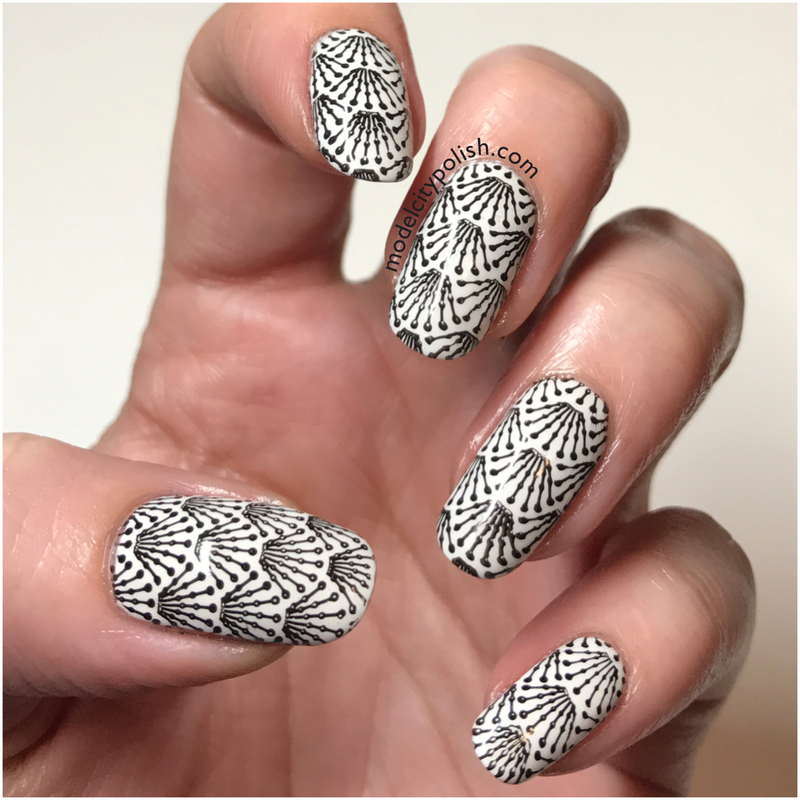 I am kicking the week off with a simple black and white mani. This combo never seems to get old to me and pretty much goes with anything and any mood. The simplicity is also a great palette cleanser for changing up seasonal looks. Now long time readers know my love for Alpine Snow by OPI so naturally I had to start with it as my base. I used three simple coats for perfect coverage and finish. I then used Black Stamping Polish from MoYou Nails and the Art Deco plate from Powder Perfect. Everything was sealed with two coats of Marvel Liquid Macro Top Coat by SuperChic Lacquer. So what do you guys think of today’s look? Overall it was exactly what I needed. Classic and simple. Thank you so much for stopping by today and I will see you all again tomorrow with a look at my first Indie Shop experience! I love the simple, crisp look of this. 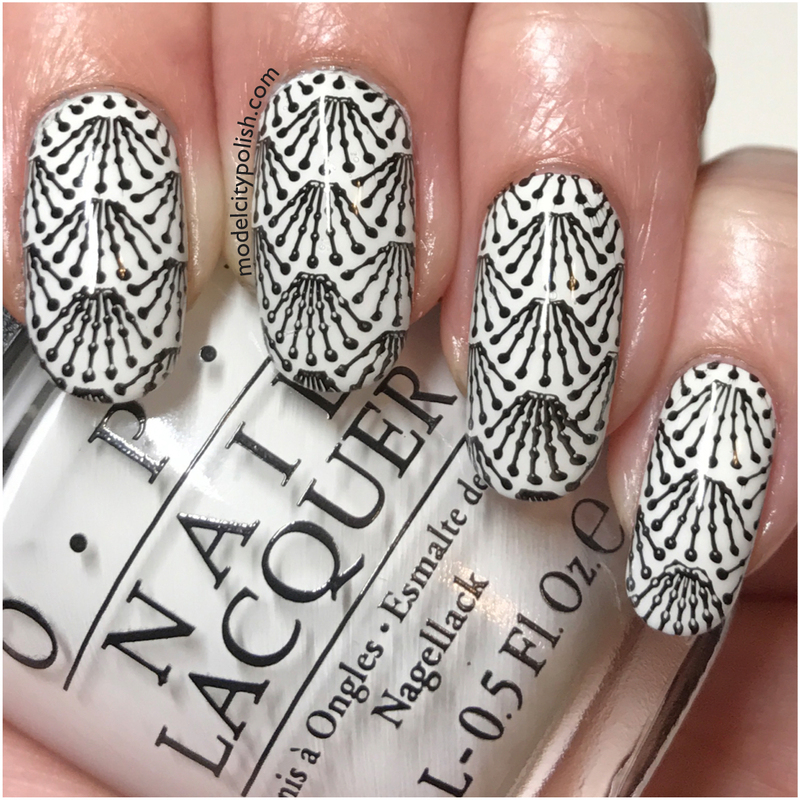 And that stamping is flawless! 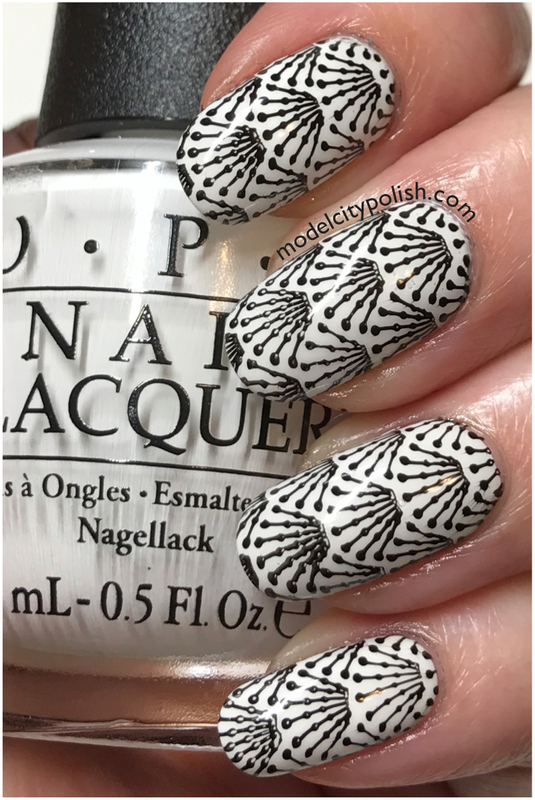 Such a fun stamping image! This is cute- I love art deco! That said, when I first saw the thumbnail image, I thought these were skeleton hands. I’m not sure if I’m happy it’s art deco or disappointed these aren’t bones, lol! I love this design! I don’t think I’ve ever seen anything like it! I NEED that plate! Art Deco patterns are my favorite. i love this design! love art deco! 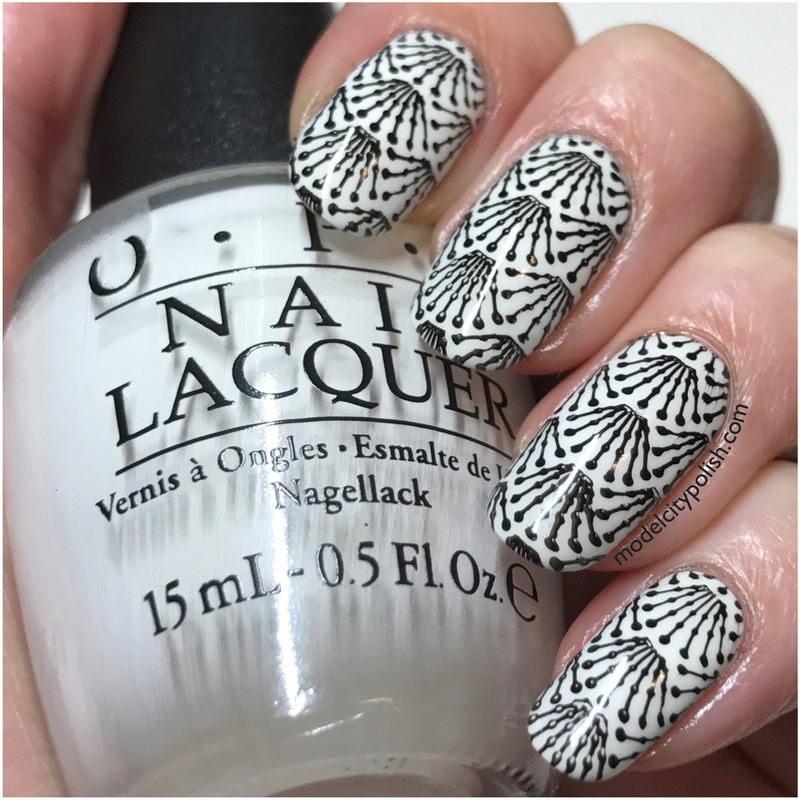 Golly; your stamping is so perfect, I thought it was a nail wrap at first. This is so gorgeous! Thanks for reminding me how much I love a good white base!! I love a good old black and white design. Your stamping is so crisp. That came out so pretty!! I actually need to pic up that OPI color! It’s so pretty!